Mabel's Labels 50% off Personalized Stickers 2/29 only! Leap into spring with personalized labels with the Frog icon from Mabel's Labels. Today only (2/29), you'll be able to get 50% off these adorable labels. Hop on over to Mabel's Labels and get these stickers today — they are perfect for spring-cleaning organization and keeping track of those easy-to-lose items! This is my favorite place to order my labels from. Did you know, Leap Day, February 29th, arrives once every four years? Well 2016 is one of them. The reason there are 366 days every four years instead of the standard 365 is to remain in sync with the true astronomical year. It actually takes the Earth approximately 365.24 days to orbit the Sun, so Leap Year allows it to play catch up. 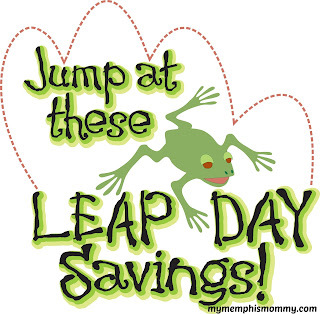 In honor of Leap Year there will be some great offers. 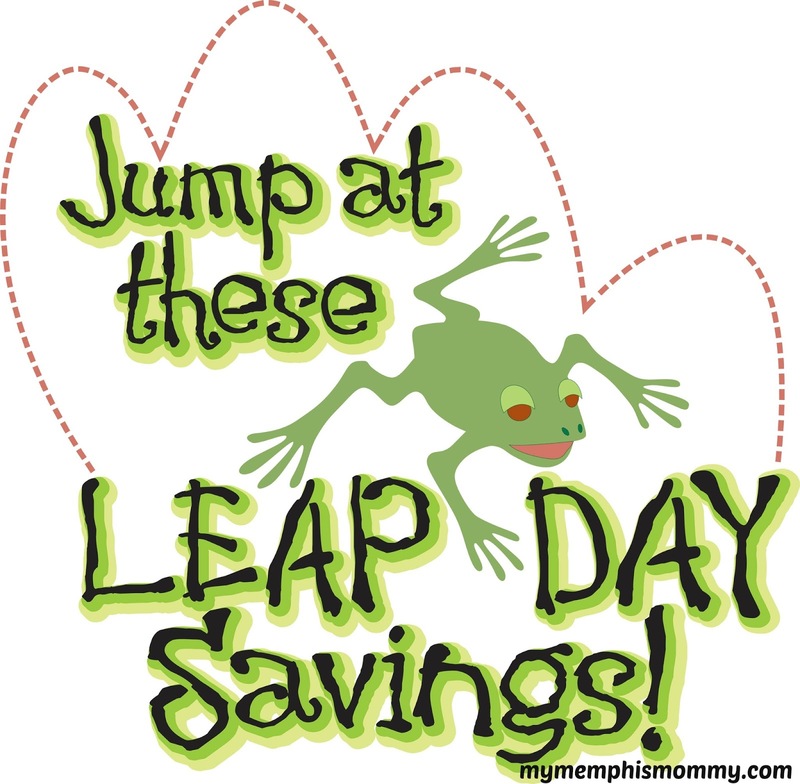 Here is a list of Leap Year deals, discounts and free offers. These deals are not limited to our area. Please check with your local locations first. Carraba’s– Use this printable coupon or online code to get 20% off your check through March 6. Chick-fil-A– Check with your local Chick-fil-A, but we’ve caught wind that some locations are offering free chicken sandwiches if you stop by 29 minutes past the hour all day on February 29. Great American Cookies– People with a February 29 birthday can get one free Individually Yours Cookie Cake as part of the “A Sweet for Your Leap” promotion. You must show a valid ID to claim your treat. Hard Rock Cafe– Diners with a leap day birthday can get one of six free entrées from the Leaplings Eat Free menu. To be eligible, customers must show a valid photo ID. Krispy Kreme – On 2/29 only, buy ANY 1 Dozen Doughnuts AND Get 1 Dozen Glazed Original Doughnuts for ONLY $2.29! Simply head over to the Krispy Kreme Facebook page, click on the “Get Offer” tab, and you will snag a coupon via email that you will either need to print or show on your phone. McAlister’s Deli– On February 29, all leap year babies get a free freshly baked cookie. No purchase is necessary, but you must show an ID. Olive Garden– Print out this coupon or show on your phone to get four free Dolcini desserts. This offer is valid February 29 through March 6. Pizza Hut– You can score FREE Personal Pan Pizza from Pizza Hut this Monday! Simply bring in your government issued ID to a participating Pizza Hut location on Monday, 2/29, to snag your free pizza! Check out the Pizza Hut Facebook page for more information. Sprinkles- Stop by any Sprinkles Bakery tomorrow with a valid photo ID showing your birthday is indeed on Leap Day and you’ll score 4 free cupcakes! Click here for more information. Tropical Smoothie– Club Tropical members can enjoy any 24-ounce Classic Smoothie for $2.29 (regularly $4 and up) on February 29. Villa Italian Kitchen– Leaplings get a free slice of pizza at participating Villa Italian Kitchen locations on February 29. Six Flags – Special Leap Year Sale on 2016 Season Passes. Buy four or more Season Passes online before February 29 and not only will you save over 30%, but you’ll also get a Season Parking Pass for absolutely free. For just $3 more than a general admission ticket, you’ll enjoy unlimited visits all season, plus get access to fantastic savings discounts, free tickets for friends, and much more. Dining Passes– Buy your Deluxe Dining Pass online by February 29 and you’ll automatically get a free upgrade to our prestigious new Gold level. With a Gold Dining Pass, enjoy lunch, dinner, and a snack every time you visit Six Flags Over Texas, plus ALL other Six Flags theme parks this year. This special offer also includes a free Sports Bottle with unlimited soft drinks all season long. As a special bonus, you’ll get 20% off most merchandise throughout the park. Jet Blue- You can save $150 on $2500 or more to the Caribbean, Mexico and Central or South America if you travel before April 30 using code WINTER16. Expedia- Save up to 29 percent off select hotels worldwide with reservations made on the Expedia mobile app on or before Feb. 29. Some restrictions apply. CheapOAir- Use code GETAWAYS30 to save up to $30 on Getaway Vacations through Feb. 29. Marriott- Enjoy up to 20 percent in savings when you use code ADP to book a room in advance through March 19. Build-A-Bear: One Day Only: 2 Select Plush Friends for $29.00. Valid 2/29/16 only. Cookies By Design: Take 25% Off Any Cookie Gift Set $50 or more, with promo code LEAP25 at checkout! Offer valid through 2/29. LivingSocial: Extra day, extra sale! 20% off with code LEAPYEAR at LivingSocial. Valid 2/29 at 12:00am ET through 2/29 at 11:59pm PT. Max savings $20; Restrictions apply. 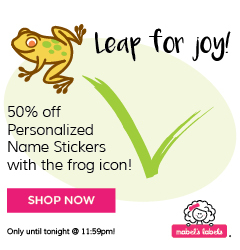 Mabel's Labels: 50% off personalized labels with the frog icon for leap day at Mabel's Labels. Valid 2/29/16. PUMA: Free Express Shipping (3 day) With Code: LEAPDAY! Offer Valid only on Leap Day 2/29. *HOT* Bebe Bella Standard Throws 70% off! Hurry over to Bebe Bella today and tomorrow only and save 70% off Standard Throws. Offer ends February 24th at Midnight CST. One of my favorites is the Minky Chenille Standard Throw for only $49.50 (Retail $165). 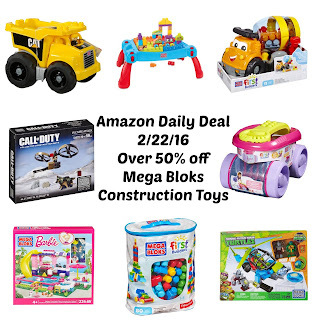 Mega Bloks Construction Toys Over 50% off! I love when this sale comes around! Today ONLY, Save Up to 50% on select Mega Bloks Construction Toys! Hurry over HERE and stock up on gifts for the year before they disappear! Now through Saturday, February 13th, get $25 restaurant.com gift certificates for ONLY $3 with code: HEART. 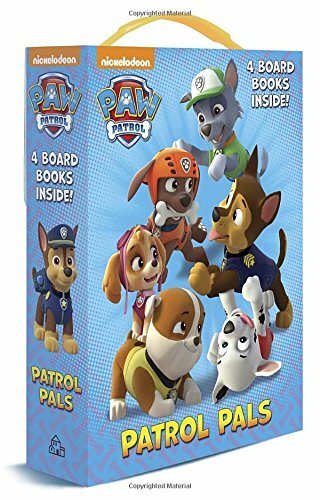 Head over to get this Patrol Pals (Paw Patrol) (Friendship Box) for ONLY $7.95 (Retail $10.99)! Ryder and the puppies from Nickelodeon's PAW Patrol prove that teamwork is the best way to save the day. 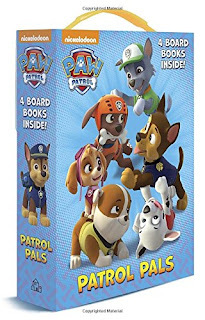 Boys and girls ages 0 to 3 will love this sturdy box featuring four board books and a plastic handle for puppy power on the go! I'm a sucker for a cute bag! 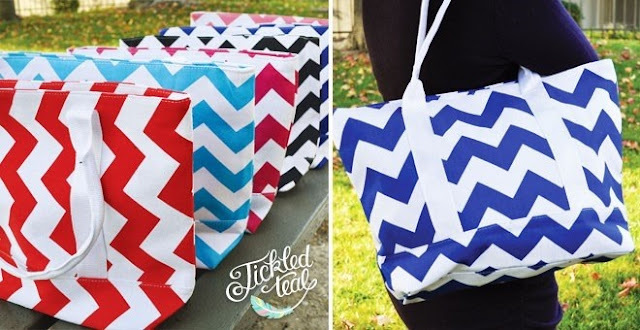 Check out these Colorful Chevron Tote Bags for ONLY $7.95 (Retail $21.99)! Chevron Tote bags with plenty of room for all your goodies. These are just large enough to hold books and are perfect for those beach days that will be here before you know it! These bags are roomy and have both a zippered and open pocket to hold all the important items in your bag. Made of a durable canvas material. Crazy 8 Presidents Day Sale - Free Shipping + 70% off! Today only, hurry over to Crazy 8 and save up to 70% off and get free shipping on all orders during the Presidents Day Sale. Valid 2/9 only. 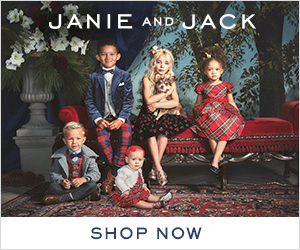 *HOT* The Children's Place Clearance Up to 80% off! WOW! Hurry over to The Children's Place where the clearance is up to 80% off. Plus, shipping is free on all orders. I have been looking at getting a new 3-in-1 jacket for my daughter and so excited to see this one is down to $17.25 (Retail $69.95). *HOT* Build-A-Bear Animals 2 for $35! This is one of my favorite Build-A-Bear deals. For a limited time, get 2 Select Furry Friends for $35 with coupon code: FEBRUARYFRIENDS. We love using this deal with friends. Plus, get a $10 Bear Bucks E-Gift Card for only $5 with any purchase of $25 or more. No coupon code necessary. Be sure to write "send unstuffed" in the notes section so you can enjoy the stuffing experience in the store. Over 40% off Select Hasbro Indoor Activities! 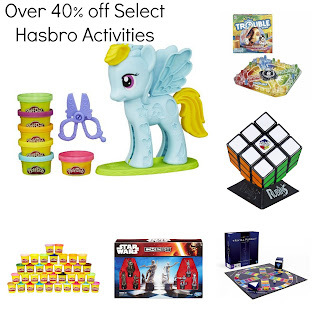 Today only, Amazon is offering over 40% off select Hasbro Indoor Activities. These would make great Valentine's Day gifts for the kids. Offer valid 2/8/16 only. Hurry over HERE and browse around for your favorites. Target Coupon Match Up 2/7-2/13! Keep in mind prices may vary slightly per region. CVS Coupon Match Up 2/7-2/13!